Edward Snowden, the former US whistle-blower who revealed the illegal bulk data collection habits of the NSA back in 2013, has subsequently made a career for himself as an online freedom advocate. He has spoken out on numerous state surveillance-related issues and his latest interjection has been to speak out against the latest controversial law proposals in Japan. Speaking to Kyodo News from his home in Russia, Snowden was asked about Japan’s so-called anti-conspiracy bill, which many say is likely to undermine civil liberties in the country. The bill makes proposals which would outlaw the planning and preparatory activities to no fewer than 277 serious crimes. He is not the first person to criticise the proposals. According to Japan Today, Shinzo Abe, the Prime Minister of Japan, received a letter in mid-May from Joseph Cannataci, the UNs special rapporteur on the right to privacy. In it, he said the bill ran the risk of leading to “undue restrictions of privacy and freedom of expression due to its potentially broad application”. Snowden was in agreement and also highlighted a report by US online news site the Interceptor, from earlier this year which showed that the US had already shared XKEYSCORE with Japan. XKEYSCORE is the bulk online data collection tool which Snowden exposed the US using back in 2013. 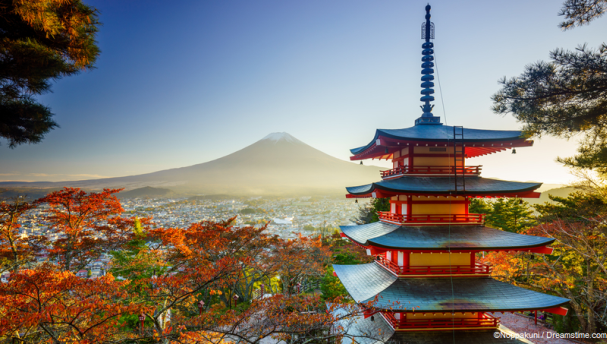 This new law, when combined with the powers XKEYSCORE offers to the Japanese authorities mean the potential consequences of the new law being approved could be vast. He also believes the intentions behind the law are broader than those professed by the Japanese Government, which are to crack down on terrorism and organised crime ahead of the Olympic Games which will be held in Tokyo in 2020. “The only real understandable answer [to why the Japanese are so keen to pass the bill]… is that this is a bill that authorizes the use of surveillance in new ways because now everyone can be a criminal,” he said. He also accused the bill of lacking sufficient safeguards saying that courts should be empowered to protect the basic human rights and freedoms of the Japanese people. But crucially, he also highlighted a point which has been largely overlooked in Japan, where the debate still rages on as well as other countries where the concept of bulk surveillance has already been passed into law. And that is that mass surveillance simply doesn’t work. In 2014, the US privacy watchdog concluded that their bulk surveillance programme was “of minimal value” and recommended it to be shut down. Last year, the UK passed its own mass surveillance law known as the Investigatory Powers Act. In the last three months alone, there have been three separate terrorist attacks in the UK, all perpetrated by individuals already known to British intelligence agencies, but who were still not identified as an imminent threat. This was as likely as not that the Intelligence agencies in the UK are now drowning in data and trying to identify the wheat from the chaff is now significantly harder than it was before. There is little evidence to support the case for Japan, or any other country for that matter, to follow in the US and the UKs lead. But nevertheless, that seems to be precisely what they are determined to do. Edward Snowden’s image in the media these days seems to be more akin to that of a crackpot IT geek than someone who understands what our Governments are actually doing. But his works should still carry weight, not because of his own leaks, but because of the intelligence and understanding, he brings to this debate. The Japanese should be fighting hard against this new bill and, at the very least, ensuring that it has adequate safeguards added to it. But for those genuinely concerned about the powers their Government wants to grab, the best solution is to turn to a VPN, such as IPVanish or ExpressVPN, to ensure all of your online data is both encrypted and anonymous.